Flying Colors is a sponsored column on the hobby of backyard bird feeding written by Michael Zuiker, owner of the Wild Birds Unlimited store at the Lee Harrison Shopping Center. Visit the store at 2437 N. Harrison Street or call 703-241-3988. It’s that time again. The sun begins to set a little earlier every day. The heat of the day does not reach as high as it did before. The gardens are beginning to go to seed. And your loved ones are beginning to leave the nest and head out on their own. No, not those loved ones. The wild birds in your backyard. Off the nests and fully grown, they are out to explore. Some will set their GPS and head down south. There, in warmer climates, they will spend the winter. Hummingbirds are ready to go. All they need are a couple of strong cold fronts from the north to set them flying. They will not fly against a strong southerly flow of wind, because too much energy will be spent. Hummingbird plants are drying up so a feeder will go a long wait to refueling them for their journey. 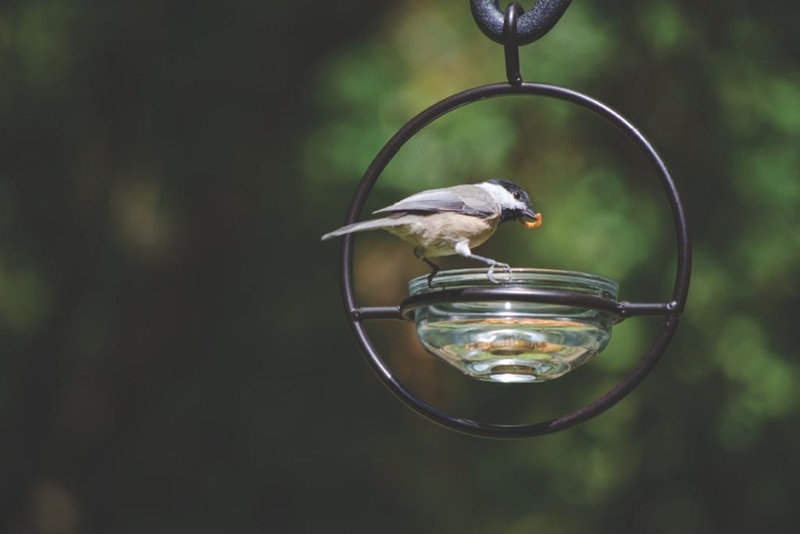 Keep your feeders loaded with fresh nectar (Four parts water to one part sugar) until early October. These tiny jewels of a bird will feed anywhere from seven to 12 times an hour to keep bulking up for the long flight south. Nighthawks are grouping up and have already started their long migration south. Look to the skies just before dusk and you may see hundreds of these hawks gliding south. Common grackles are also beginning to develop their large flocks for their journey. When they come through your yard later in the fall, in 300-bird flocks, your yard can not sustain them. They too eventually will move down to warmer climates and more open pastures. If they are attacking your feeders, switch to white safflower seed. They will not eat this and will leave your feeder alone. When they have left your neighborhood, you can switch back to your birds favorite blend of food. We will lose a few of our summer birds, but we also are very fortunate to receive a number of birds for the winter. Most common birds coming through here are the many species of hawks. Every time I go out to deliver a bag of seed to a customer’s car from now until November, I will look up into the sky, because there will be an excellent chance that I will see a raptor gliding in a thermal in the sky. Coopers Hawk, Sharp Shinned Hawk, Golden Eagle, Northern Harrier and Red Tail Hawk are just some of the raptors who migrate down on the wind rivers to settle in for the winter. If you have never been to “Hawk Mountain” near Kempton, Penn., you should give yourself a weekend gift. This mountain from now until November will put on a raptor aerial show like none other. From the large to the small, we have two birds that become very common in the fall and winter. One is called the snowbird because as soon as we receive our first dusting of snow on the ground they can be seen everywhere. The Dark Eyed Junco migrates down in large flocks and if you see one in your yard you will see dozens. They feed on the ground and love millet. But do not throw the seed on the ground. It is healthier for them to be eating on a large tray type platform just off the ground or on a hanging feed from a pole. Millet will also be eaten by the White Throated Sparrow. This beautiful sparrow will be in and among the Juncos and are very common and abundant in the Fall and Winter. These are just of few of the birds that are on the move. There is also a very large and diverse group of birds that will fly through our area and keep going to Central America. This group consists of Warbler, Vireos, Thrushes and other insect eating birds as they migrate they look for insects and water, for they are not seed or suet or nut eating birds. Their diets consist mainly of insects. For the short time they are migrating through, you could attract them for a stay by offering them insects. Mealworm larvae is a tempting treat that many of these birds cannot resist. You can offer these mealworms as live, freeze dried and even in a suet type food source. Water is also vital for these birds. Their travel is always long, and depending on the weather, can be hard. If you are fortunate to catch it just right when a strong storm from the south comes through, thousands of these birds will “Fall Out” and drop into the trees and wait it out. It is a magical moment in nature that affords you a great look at a beautiful and diverse species of birds. So rather than anguish over the empty nest, celebrate the freedom of these colorful, singing birds that call our backyards their home; even for just a season. Thank them by feeding them a good healthy meal or two and send them, with the winds help, on their way.